Report by Arvind Sharma, Dharamshala: CSK Himachal Pradesh Agriculture University at Palampur in Kangratrict near hear shall complete Thirty-Nine Years in the Service of Farming Community of Himachal Pradesh. CSK Himachal Pradesh Agriculture University will turn 39 on 1 November 2017. The University was inaugurated by the then President of India Mr. Neelam Sanjiva Reddy in 1978. It is ICAR accredited and ISO 9001:2008 certified institution. The University has been given the mandate for making provision for imparting education in agriculture and other allied branches of learning, furthering the advancement of learning and prosecution of research and undertaking extension of such sciences, especially to the rural people of Himachal Pradesh. At present 1523 (844 girls & 679 boys) students are on roll and more than 6593 students have passed out from the University since its inception. In addition to world-class academic, sports and co-curricular facilities, there are twelve students’hostels, including one International Students’Hostel. Research Activities: The Directorate of Research coordinates research in the field of agriculture, veterinary and animal sciences, home science and basic sciences. 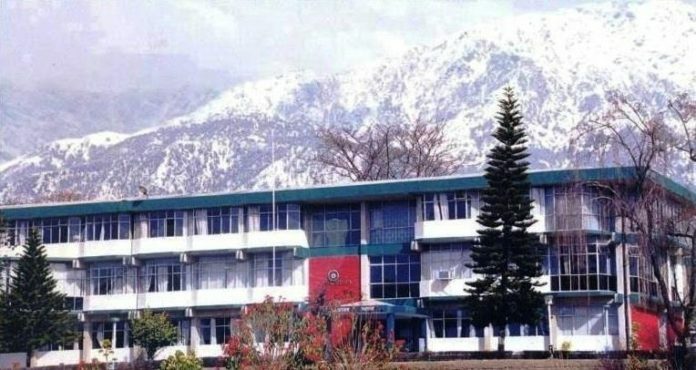 It has been giving priority to the location specific, need-based and problem-oriented research with multidisciplinary approach at main campus Palampur, 3 Regional Research Stations (Bajaura, Dhaulakuan & Kukumseri) and 10 Research Sub-stations (Kangra, Malan, Nagrota, Salooni, Akrot, Berthin Sundernagar, Sangla, Leo & Lari) situated in all the districts of the State (except Solan and Shimla). The University has developed need-based technologies for the different regions of the State and has released 155 improved varieties of different crops. Among the leading universities in the hill regions of the country, this University has emerged as a torch bearer for all. It is considered most serene institution in the region with an extremely conducive atmosphere to pursue academic and research activities.